Do You Have Cookie Control? The EU ePrivacy Directive passed last year went into effect on May 26th, 2012. Sites that are not in compliance are subject to the fine — and that doesn't just affect affiliates in EU countries. A site in the U.S. that targets U.K. consumers will also have to comply with the new policy. You must inform visitors of the type of information the cookie captures and how long that information is kept. Cookillian Provides extensible support for EU/UK compliance of the EC Cookie Directive (2009/136/EC), based on a visitor's location. I was running Cookie Control on this website for purposes of example (see graphic below) and will HAVE to run it on my book sales site ASAP. Although these directives are not currently mandated in North America and other regions, doesn't mean that you should consider implementing the practice. Visit the ICO website for more information about the ePrivacy Directive and the new rules on cookies. Is Your Blog GDPR Compliant? 1, Ain’t the ‘cookies’ for ‘vendors/merchants to be concerned about and not ‘publishers’ in Affi-Marketing? 2. EU-cookies, by the way, are seemingly ‘gluten-free’…Greece, Spain and Portugal are still kicking & do not show signs of stomach trauma or convulsions..
3. How, When and really Why did this thread start…the conclusive ‘verdict’ must be ‘Who really cares?’. I am new to Affiliate Marketing. Aren’t the cookies installed on a visitor’s computer by the merchant’s website when they click on a link on my website? Since the merchant is the one collecting the information, would this still apply to us? Thank you for all of the great information and with helping new affiliates! If you use Google Analytics on your affiliate site, a cookie is being installed on your visitors’ computers. Thanks for the heads-up on this, Ros. Yeah, I’ve had this on the back of my mind since they announced it 1-2 years ago. The law seems so darn tedious. Cookies are such an integral part of web surfing; I can’t believe they’re making a stink of this. 1) Is anyone (webmasters, companies, affiliates, etc.) really taking this seriously? By the number of opt-in forms already in use, it seems folks are definitely taking this seriously. Here in the UK , at the last minute, the legislation was changed slightly to the assumption that every one knows about cookies and there is no need to provide opt ins. The French have taken their standard Gallic view voted for the law and then ignoring it ;-). Having said that you can assume that cookies will become an optin option in the longer term. Thanks for letting me know. Weird therefore that so many sites (including the ICO) are running those optin forms. 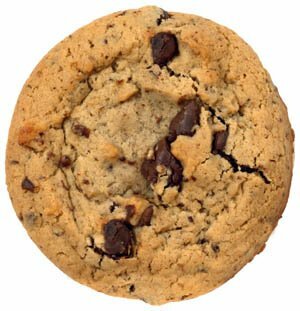 I was sitting enjoying my morning coffee when my wife said there is a new law on cookies from the EU and if you don’t obey its a €50,000 fine. As it was only altered 48 hours before the deadline I suspect most of the sites had committed to it and the thinking was probably well it wont do any harm so leave it. Also most of the large sites ICO, Amazon etc would have run it past shedloads of committeees – Lega, IT to name a few and trying to change it would be like revering an oil tanker. I have added a line for all future blogs saying cookies will be loaded. Question is if you are marketing via YouTube or static Facebook pages what do you do then. To my mind this is a little like SOPA a law devised by people who don’t actually earn their living on the internet. IT WOULD BE GREAT TO TOUCH BASE RE YOUR AFFILIATE PROGRAM….CLICKBANK. Where can I pick up a ticket and get an appointment communicate with you? Thanks for the “heads-up”, Ros! Which of the 3 Plugins is easiest to use? We’ll see how soon this happens in America. What with all of the info that is collected on us on a daily basis w/o our consent ? And how boldly will they advertise this little gem of information BEFORE they start collecting the dough ??? Thank you for your valuable post. I am not really aware of this and will check it out on your blog for further details. Cheers, you are the best. got anything on seo’s ? Just wanted you to know that the new cookie plugin is possibly keeping your page from loading. I [tried to] send you a reply to your email to let you know. I did finally get the page and my comment to finally load by stopping the load and refreshing the page…. but newbies might not know to do this? [You can delete this comment once you’ve read this]. Thanks for the heads up, Carolyn. I’ve de-activated the plugin for now and added a picture to the post of how the plugin rendered. But I don’t specifically target women in the UK. Could you expand your comment. Keep in mind that I am not a lawyer, but my take on ‘targeting UK consumers’ is for merchants who sell products directly from their sites, not affiliates. No doubt more will come to light about this policy in the coming weeks. I’ll do my best to keep you posted.